After a successful opening competing season, I can now relax with my food, but still prep my food and build more muscles until August. 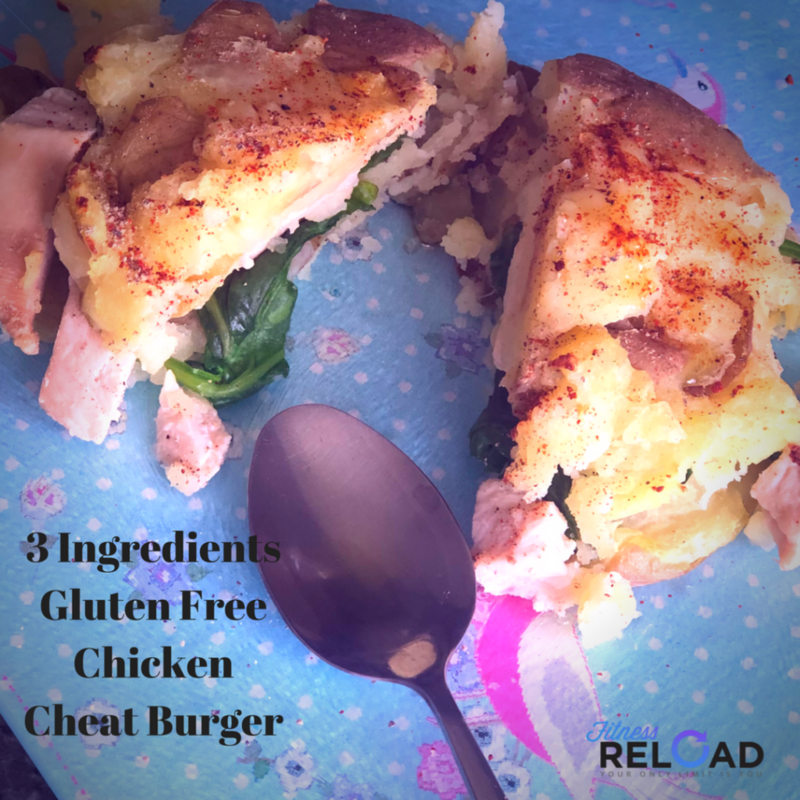 I came with the genius idea how to replace the bun on the burger, which automatically makes it Gluten and Wheat Free…. Yeay! Smash the potatoes, as its shown on the pictures below. 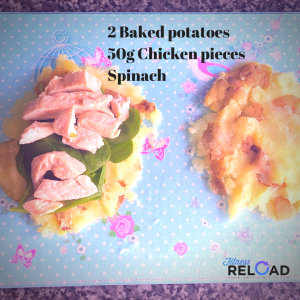 Place the chicken and spinach and finally place the other smashed potato on the top with using knife. Put it back in the oven for 5-7 min to set more. Sprinkle with pepper and chili or cheese (optional). I like it plane to save me calories. I’m sure you can improve this recipe with adding cheese or a proper burger. But at least I saved you few calories, gluten and wheat.